Personally, unless it’s a rare occasion where I am using stretched linen, I almost always prefer to work on panels. They are simply more durable and forgiving than stretched supports, and I can customize the surface to my liking more easily. I recommend that new students experiment with many different grounds and supports to see what works for them. Each has its benefits and limitations. 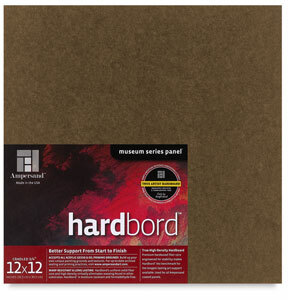 If you are planning to create your own ground, these panels are an archival and economical way to start. I typically glue thin nylon down to the panel with PVA glue, size it again with the same, then bevel-trim the edges with a file. On this I typically use an oil based primer. The uncradeled 1/8″ thick panels are great for up to 16″ x 20″. Larger should be cradeled to insure the panel will not collapse in the frame. If you are in a rush, and need a quick ready-made panel, these come in standard sizes and are an acceptable surface for painting. A relatively new surface, these are great for sketches. Thick paper pads that are primed to accept oils. when clipped to a masonite backboard as a support, this is an excellent ground. 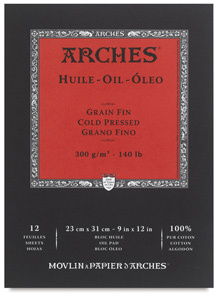 Now available in convenient pads, Arches Oil Paper is ï¿½ready to useï¿½ without preparation. 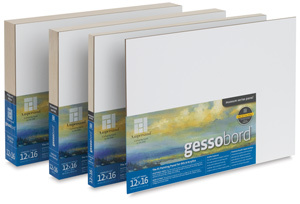 Specifically designed for oil painting, this 140 lb (300 gsm) paper features an efficient oil barrier that absorbs water, solvents, and binders while allowing the paint and pigment to remain on the surface.